Consignment shops are a great way to shop on a budget. They’re also a great way to make a little extra cash. 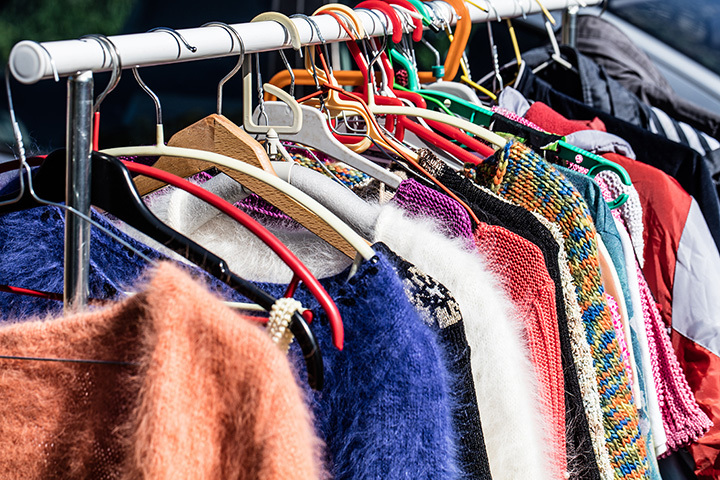 Whether you’re on the hunt for a windbreaker straight out of the 1980s or some vintage furniture to complement your living space, you’ll find it at the best consignment shops in Wisconsin! Interior Motives Consignment is proud to celebrate over thirteen years in business as Northeast Wisconsin’s highest quality consignment store. Interior Motives is upscale on a budget, with something for everyone. Whether you’re looking for a new lamp, on a search for that perfect rug or the comfiest couch you can dream of, Interior Motives has it all—and it’s super affordable! Passion for fashion on a budget! Sandy’s Upscale Consignment has been making women feel like the Queens they are by offering affordable, stylish and fashionable clothing on consignment since 1997. Here, it’s all about helping women of all shapes, sizes and ages find that perfect outfit. Have a job interview coming up? Getting ready for a girl’s night out? Come to Sandy’s! Stand By Me Home Consignment offers upscale products for a great price. They specialize in consignment, resale, furniture, artwork, and more. The selection of artwork is incredible here, as is the abundance of gently used, like new furniture. It’s the perfect place for first time home owners or college students working on a tight budget! Practically perfect in every way is Perfectly Plus Women’s Consignment shop in Janesville, Wisconsin. It’s your one-stop shop for plus size clothing, sizes 14XL and up. They also have an amazing selection of shoes, handbags and accessories! From formal to casual, lingerie, undergarments, scrubs, etc. Perfectly Plus has it all. You’ll see brands like Lane Bryant, Gap, Old Navy, Coach…even Prada! Ladies, let’s go! They’re ripe for the picking at Cherry Pickins Home Furnishing Consignment shop. Here, visitors will find three showrooms filled with beautifully arranged home furnishing and accent pieces. You can even buy new upholstery for that couch or chair that doesn’t quite fit the theme of your home. Shopping at La Belle Legacy is like going on a treasure hunt. There are thousands of items to choose from and always a surprise you weren’t expecting. It’s a mix of old favorites and new discoveries, and owner Jean Niebler is passionate about retelling the stories of her pieces to connect new owners with their pieces. It gives it that special something. They offer home décor, lake décor, seasonal, lamps, lighting, etc. “There’s no place like Posh Threads!” is the motto at Posh Threads Boutique in Fontana, Wisconsin. It’s upscale consignment with quality merchandise and a pleasant, customer focused atmosphere. They pride themselves on accepting and selling only quality designer fashion and accessories for today’s modern woman. It’s locally owned and operated, and owner Jessie Saunders provides a one of a kind, personalized experience for each of her customers that keep them coming back for me. 9 Lives Boutique in Lake Geneva, Wisconsin is owned and operated by the Lakeland Animal Shelter in the heart of downtown Lake Geneva. All of the merchandise is donated and profits support the Lakeland Animal Shelter and all of its programs and services. The Hidden Treasure Resale Shop is all about supporting the students of Ozaukee Christian School. All proceeds earned help keep the cost of tuition reasonable and affordable for many families throughout the area. You can shop in store or request a specific item or piece of merchandise online. It’s a great place to visit and know that you’re giving back to a great cause! Blessed Again Resale is part of the Place of Refuge in Milwaukee, Wisconsin, and it’s a blessing to all mothers. Blessed Again provides low-cost merchandise and offers mothers work and volunteer opportunities. They accept donations of all sizes of clothing, shoes, accessories, housewares, etc. which are then sold at affordable prizes to those who need them most.